The University of the Witwatersrand has received a R12, 5million donation from Sibanye Gold Limited towards mining and engineering education. 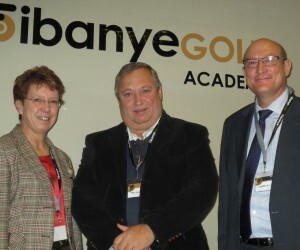 At a handover ceremony held on 25 July 2014 at the Sibanye Gold Academy on the West Rand, University of the Witwatersrand Deputy Vice-Chancellor: Knowledge, Information and Management, Professor Beatrys Lacquet, received the donation on behalf of the University from Sibanye Gold Chief Executive Officer, Neal Froneman. “It is commendable to have a company like Sibanye Gold investing in our people and this partnership will go a long way to assist us in moving forward as we continue to strive to support the South African mining industry in a meaningful way,” she said. Speaking at the handover, Neal Froneman commented that Sibanye remains resolute that mining should benefit all stakeholders and create a legacy that can endure long after the existing mines have reached the end of their productive lives. “ Our dream is to facilitate the emergence of engineers from communities around our mines such as Bekkersadal, Khutsong and Matjhabeng because we know that education will not only give us future employees but will help us break the cycle of poverty and thereby eliminate all the social ills associated with it." 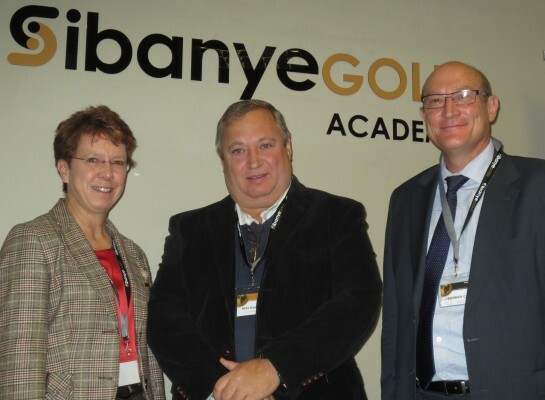 Sibanye Gold has supported the University in various ways over a number of years. “Wits is extremely grateful for the sustained contribution made by Sibanye Gold in enabling us to graduate students into the industry. We are committed to South Africa, the industry and this partnership,” concluded Lacquet. In the words of Nelson Mandela: “Education is the most powerful weapon which you can use to change the world”… one student at a time.